Microsoft Windows XP Home and Professional editions provide an elegant new user interface and powerful new tools with which to burn a CD, view and manage digital photos and music, and invite PC experts to see and manipulate what's on your screen over the Internet. This book covers all the important tasks that readers need to know, from using WordPad, Paint, and Outlook Express to configuring a firewall and backing up data. Service Pack 1 coverage is included. 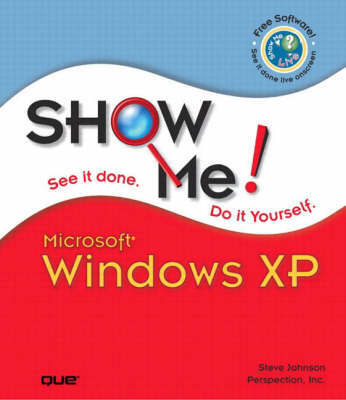 Show Me Microsoft Windows XP offers readers a fast, visual way to solve problems and get work done with Windows XP, covering the tasks in a way that makes it easy for new and upgrading users to get going quickly. Other features include a "Troubleshooting Guide" to help solve common problems, and a "Project Guide" with a listing of real-world projects by feature.